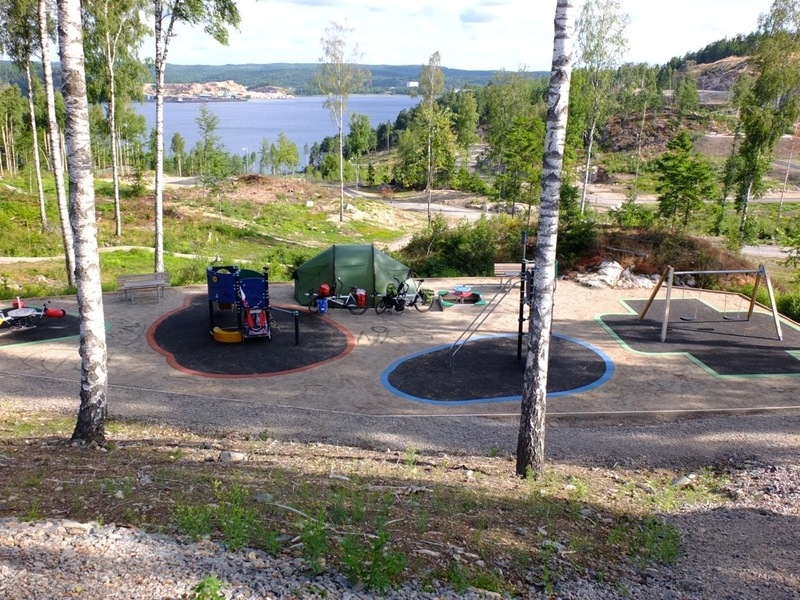 Planning the trip to Norway and Sweden, we were really looking forward to camp where ever we like thanks to the Right of Public Acces (Allemansrätten/Allemansretten). According to this right you are allowed to put up your tent nearly anywhere. Here are a few spots we slept at. The runes were really interesting and there were almost no other tourists visiting the site. As a bonus we had access to toilets and drinking water! 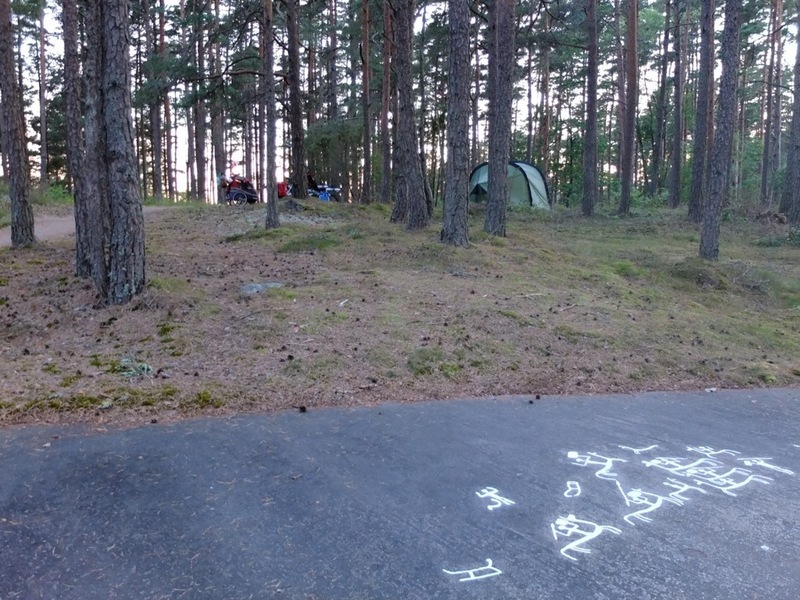 So, happy with our first ‘rune-night’, we took our map and circled all the rune-sites in the region going South. This took us to Torsbo. “Torsbo is worth a visit not only because of its rock carvings and ancient monuments but for its nature and scenic beauty.[…. ]These pastures have been pastures have been restored and are kept after by the Council Administration. Who could have imagined a better pitch? Flat lawn, toilets, water, no tourists. Our own private camping. 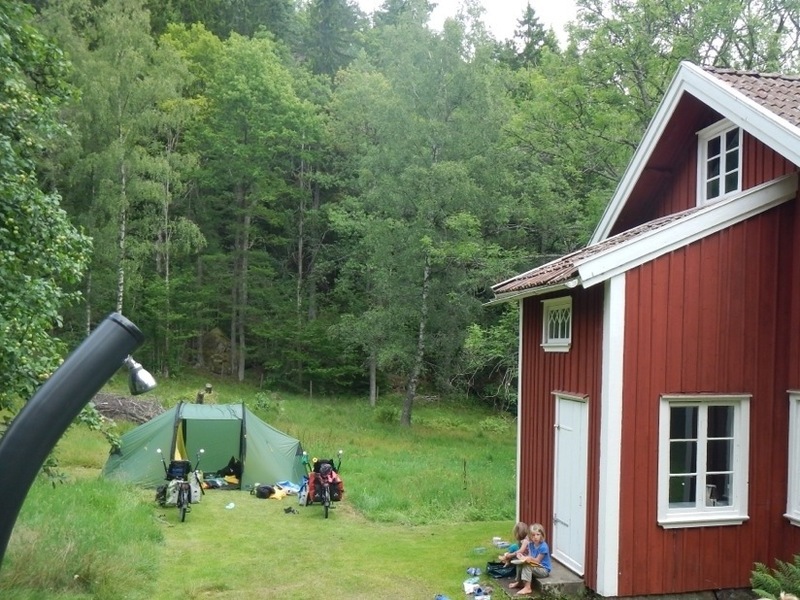 Next, thanks to a fortunate meeting, we slept at Munkedal’s Kaserna. 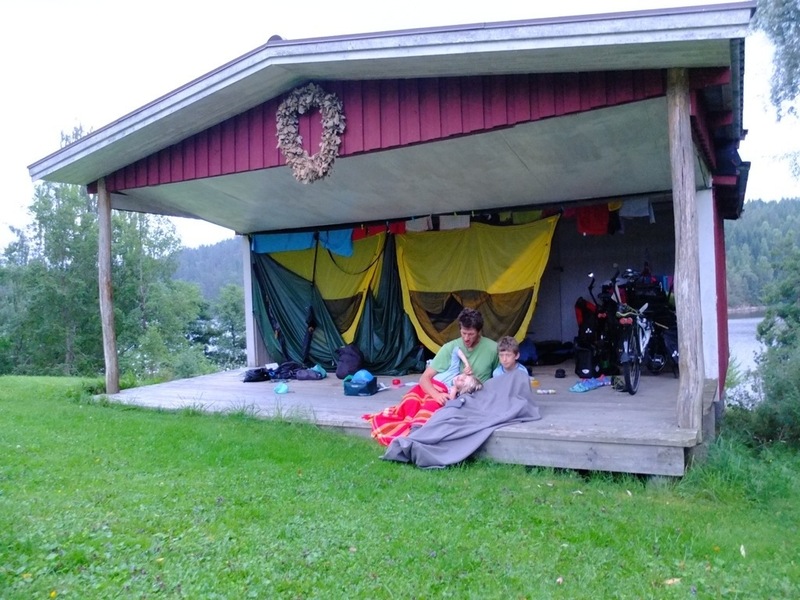 The second evening at the Kaserna, a big storm seemed to be coming up, Jonathan rushed (with lots of help from the kids) to break camp and take shelter on a outdoor stage used for plays in the summer. Just before the pourdown and in time for dinner and a bedtime story. The yellow curtains are our tent, which we used for exactly that: curtains. It was perfect, even darker than most hostel rooms we slept in. 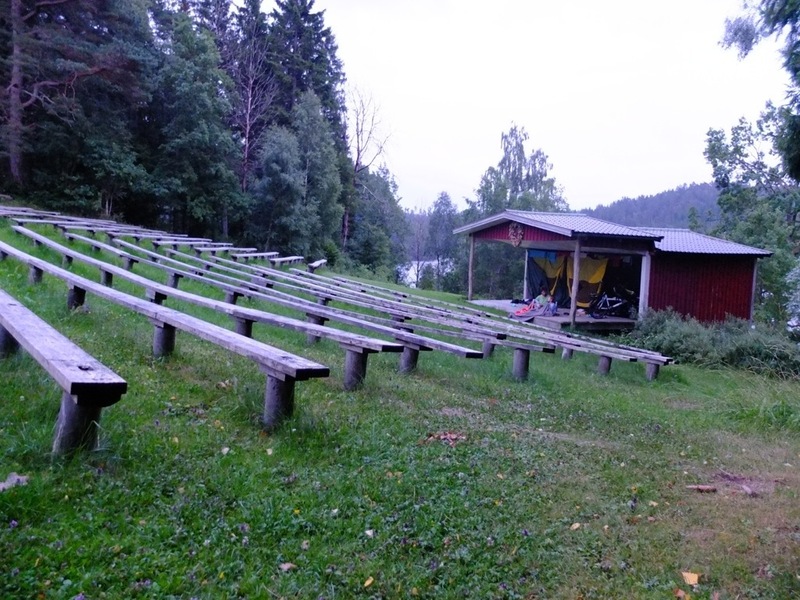 Waking up was a litlle less idyllic: Monday morning was mowing time, around the stage. We thought planes were landing on the lawn! After a stop in a youth hostel (laundry, showers, online payments, tickets, etc…) we headed out for our next leg. We were supposed to find a lovely beach 20 km further. The trouble is we managed to make our latest start ever 7.30pm. We stopped after 9 km (all uphill), where a new neighbourhood is being built. When we marked all the rune-sites on our map, we also spotted some shelter places for the Bohusleden hiking trail (360 km trail Northwards, starting in Gothenburg). We tried to get to one, but luckily bumped into Kenneth & Gerd, who invited us to sleep in the garden of the house they were staying at in the middle of the forest. Well they also invited us to sleep inside, but we didn’t want to abuse of their warm welcome. We did eat in their kitchen away from the swarms of midges. 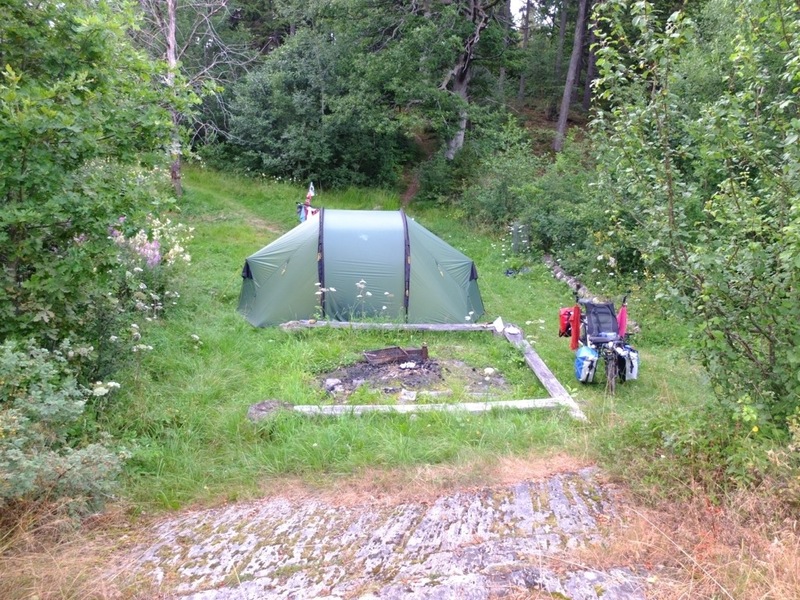 Well, wherever we have been camping in the wild, it was many times better than the few campings we’ve visited. 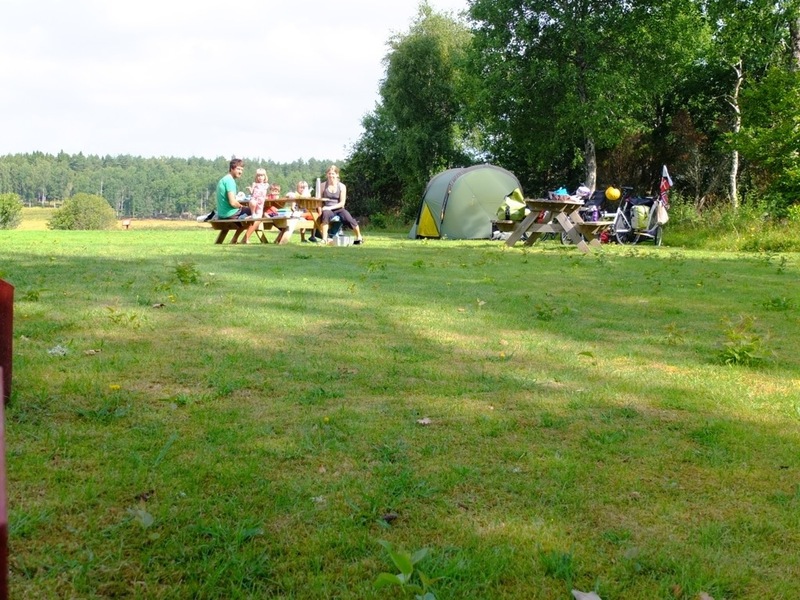 On average, 1 to 2% of the available spaces are reserved for tents. So you usually get stuck somwhere between parked cars. Trust us, this isn’t the worst we’ve been in. Het vervolg komt nog, weliswaar vanuit Brussel, we zijn net een paar uur terug. 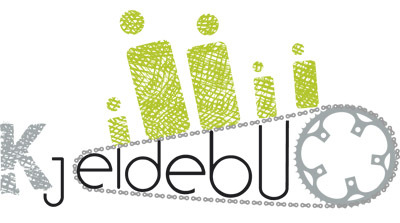 In de komende dagen zetten we nog een selectie foto’s en een samenvatting van Noorwegen en Zweden online.